So, to honor this lost soul, we’ve made her into a beer. Our Barrel Aged Series has done rather well lately. The Keel and The Scupper both scored in the mid-90s at BeerConnoisseur.com, and fans have been raving about The Skeg and The Topsail. The concept for the Barrel Aged Series has never been a one-and-done kind of idea — that would make it a pretty lame “series”! Head Brewer Brian Hink with the help of Director of Brewing Operations Jimmy Valm designed the first four that we brought out last year. The theme of last year’s series was nautically-based. This time around, we’ve taken a bit of a different tack. Per square foot, Cape May is probably the most haunted place on the planet. We have no data backing up that assertion, of course, but things can get a little creepy at times around town. There’ve been at least five books written about the ghosts of Cape May, MAC runs at least seven ghost tours, and Syfy’s Ghost Hunters did an episode here, Over 300 years of history combined with gorgeous Victorian architecture practically necessitates ghosts. That’s why, this time around, the Barrel Aged Series has taken on a distinctly spooky theme. The room was completely closed, she was alone, and the bathroom door slammed shut of its own volition. “Do you see her there?” she asks her oblivious husband. He slowly shakes his head no. “She’s right there,” she says, pointing to a chair by the window, indicating the elegant woman in her long, green dress, hair twisted into a lavish Victorian knot. “Honey, there’s no one there,” he responds. It’s bright and cheery, but not without the Victorian excess that befits its name. 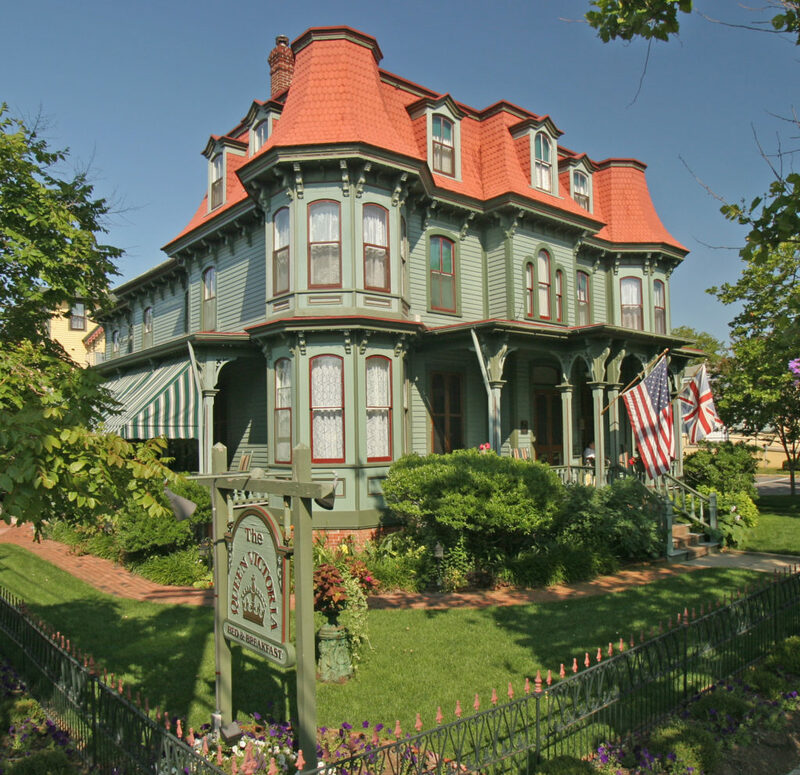 The Queen Victoria® — the crown jewel of Cape May’s bed and breakfasts — is home to its very own Brothel Madam, as well as Doug and Anne Marie McMain. We sat down with Doug and Anne Marie, relaxing in the sitting room of the House of Royals — a former brothel and gaming parlor — while strains of Mozart and Wagner play in the background.